“As part of an effort to stem the flood of children caught trying to cross the nation’s southwest border, President Obama is trying to change a 2008 law that dictates how the federal government handles those immigrant children in order to speed up their deportations. Under that law, most of the unaccompanied minors being caught by Border Patrol agents must be handed over to the Department of Health and Human Services, which coordinates care for them, finds them safe housing and helps advise them on their legal rights as their immigration cases are decided. The president is now asking Congress to amend the law in a way that would allow Border Patrol agents to render a deportation decision themselves and quickly deport the children back to their home country. Obama made a vague request for changes to federal law in a letter he wrote to congressional leaders on Monday. But a White House official confirmed on Wednesday that the administration is considering changes to the William Wilberforce Trafficking Victims Protection Reauthorization Act of 2008, known as the TVPRA, to fast-track deportation decisions. The official, who was not authorized to speak publicly about the requested changes, said the administration remains committed to the basic tenets of the TVPRA that guarantee protection for children from trafficking and ensures they aren’t deported to a dangerous situation. But the official said the changes are necessary to update a law that was crafted when the flow of unaccompanied minors crossing the border was far lower. The change is part of a broad effort by the Obama administration to get a handle on the flood of young immigrants crossing the border. More than 50,000 unaccompanied minors have been caught on the border so far this year, most coming from Guatemala, Honduras and El Salvador. 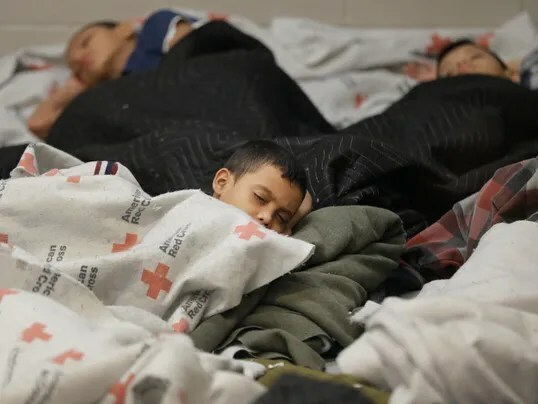 The White House is requesting about $2 billion to house the children and move to the border a flock of immigration judges, U.S. attorneys and asylum advocates to counsel some immigrants on their asylum applications. But immigration attorneys were ourtraged by the notion of changing a law designed to protect unaccompanied minors who may be victims of trafficking and violence. “It’s an utter devastation of due process for our most vulnerable community members,” said Ruthie Epstein, a Washington-based policy analyst at the ACLU. The White House wants all immigration cases – those that end with a deportation or an approval to remain in the country – resolved more quickly. Immigration courts are backlogged around the country, leaving children and adults waiting months or years for their cases to be resolved. The 2008 law, which passed both chambers of Congress by unanimous consent and was signed into law by President George W. Bush, dictates exactly how children caught crossing the border without their parents must be treated. For children coming from “contiguous countries” – in other words, Mexico and Canada – a Border Patrol officer has the authority to determine whether the child is eligible to stay in the country. Because the child can be directly and safely handed over to officials from his or her home country, the process can move very quickly. But for children from all other countries, any repatriation to their home country involves a plane flight and more preparation. The law dictates that after being caught, the child must be turned over within 72 hours to the Department of Health and Human Services to care for them and find them safe housing. HHS is also urged to find them legal counsel and child advocates who can explain the process of applying for asylum or identifying other ways to stay in the country. While the law does not require that those children appear before an immigration judge, immigration lawyers say that is common practice given the amount of time they stay in the country awaiting a decision. The White House official confirmed that the administration is considering asking Congress for permission to treat Central American minors similarly to how the government treats children from Mexico. Wendy Young, president of Kids in Need of Defense, says that process is unfair to children who usually have no idea what options are before them to stay in the country. There are complicated applications for asylum. There are “T Visas” specifically designed for victims of human trafficking. There are “U Visas” for victims of certain crimes. There are U.S.-based relatives who can try to claim them. 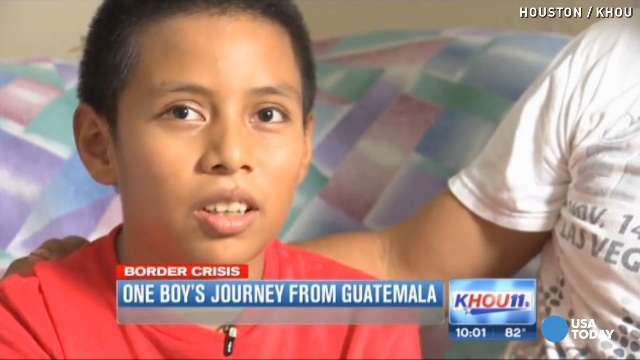 But all of those, Young said, are hard enough for experienced immigration attorneys to sort through, let alone children who just finished a perilous journey to the U.S.
Jessica Vaughan, policy director at the Center for Immigration Studies, said the Obama administration’s track record has been to slow down deportations, and she doubts this is a shift in policy. “I would be very surprised if that is the outcome based on what we have seen in the last few years on how they have selectively enforced immigration laws,” she said. Instead, Vaughan feels the president wants to amend the law to give his Department of Homeland Security broader powers to place more children with relatives in the U.S., which then insulates the child from deportation.